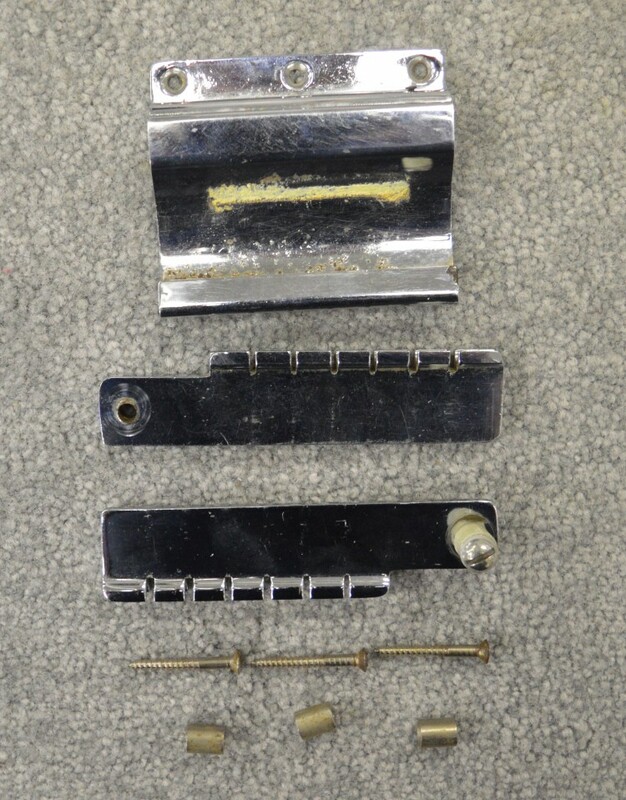 A vintage Gibson Tremolo assembly for 1965 and later models in excellent condition; a tremolo arm is not supplied in this listing. All of the chrome is shiny with very little wear and no rust. The padding fabric on the bridge has been partially rubbed away, but the part will still function and the fabric could be replaced. Includes the 3 original screws and spacers. Overall the part is in great shape and would act as a perfect replacement or part for a build project. 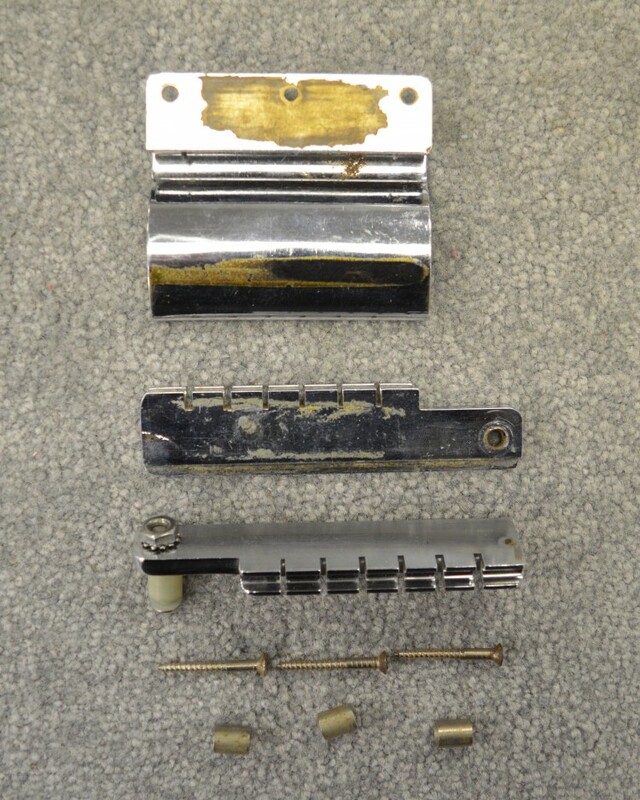 Interested In This Gibson Tremolo Assembly? Did you purchase the Gibson Tremolo Assembly? Feel free to submit a review. Reviews will be posted pending submission review and approval.